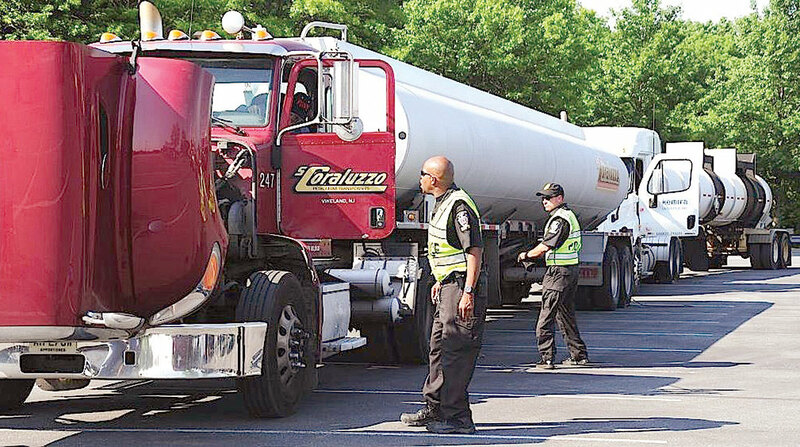 Commercial motor vehicle enforcement officers patrolling U.S. and Canadian highways issued more than 57,000 citations and nearly 88,000 warnings for unsafe driving behaviors during 2018 Operation Safe Driver Week, the Commercial Vehicle Safety Alliance reported Sept. 19. During the July 15-21 safety initiative, 51,000 law enforcement officers made contact with more than 113,000 commercial motor vehicle and passenger vehicle drivers. The campaign was conducted to call attention to driver behaviors, the main cause of crashes, and combat those behaviors through heightened traffic safety enforcement and educational research, CVSA said. A total of 42,144 commercial motor vehicle contacts were made with 10,709 citations issued, and 71,187 passenger vehicle contacts were made with 46,696 citations issued. Commercial vehicle drivers were given 29,908 warnings, while 57,999 warnings were given to passenger vehicle drivers. According to the National Highway Traffic Safety Administration, in 2016, 18% of drivers involved in a fatal crash were speeding, the No. 2 violation cited during the weeklong operation. NHTSA research found that of the total number of people killed in motor vehicle crashes in 2016, 48% were not wearing a seat belt. Seat belts could have saved an estimated 2,456 people if they had been wearing one. Safety belt usage by commercial truck and bus drivers was at 86% in 2016, according to Federal Motor Carrier Safety Administration survey data. A total of 211 passenger vehicle driver citations during Operation Safe Driver Week were for texting; while only 20 texting citations were issued to CMV drivers. A total of 127 passenger vehicle drivers and 262 CMV drivers were cited for using a handheld phone. According to NHTSA, in 2016, 3,450 people were killed in motor vehicle crashes involving distracted drivers. NHTSA also estimated that 10% of crashes involved the use of a phone. And according to the Centers for Disease Control and Prevention, each day in the United States approximately nine people are killed and more than 1,000 injured in crashes reported to involve a distracted driver. As in prior years, FMCSA directed federal safety investigators to focus during the weeklong effort on carriers with recent crash involvement and high percentiles in the driver-based Behavior Analysis and Safety Improvement Category.